Serve Austin is a program run through St. Edward’s University’s Office of Community Engagement. Through it, generic students volunteer with a local nonprofit and learn about a particular social justice issue that interests them. Casa Marianella is among the nonprofits that host these volunteers. This Spring, the Serve Austin team at Casa Marianella has been truly special. They’ve helped residents with applications, cleaned and organized the shelter, built a social service resource list for states other than TX, played basketball, and turned Casa into a Latin dance party on multiple occasions. 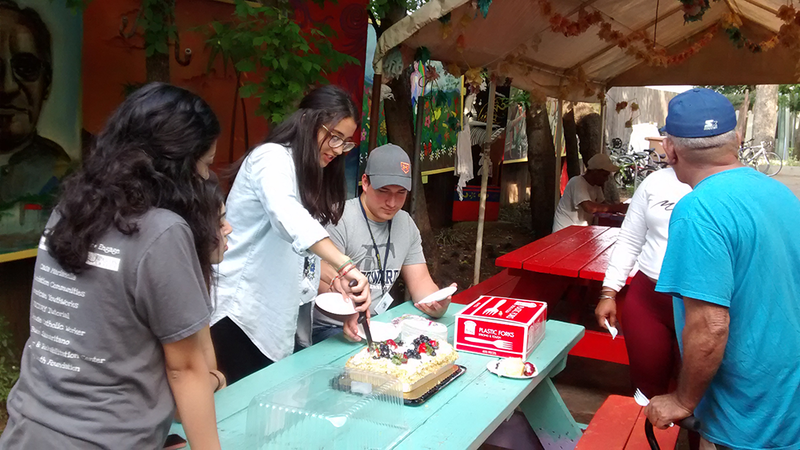 On their last day we all shared a tres leches cake to celebrate their time with us. We hope it won’t be long before we see them again.